Feel stressed and overwhelmed in the morning? 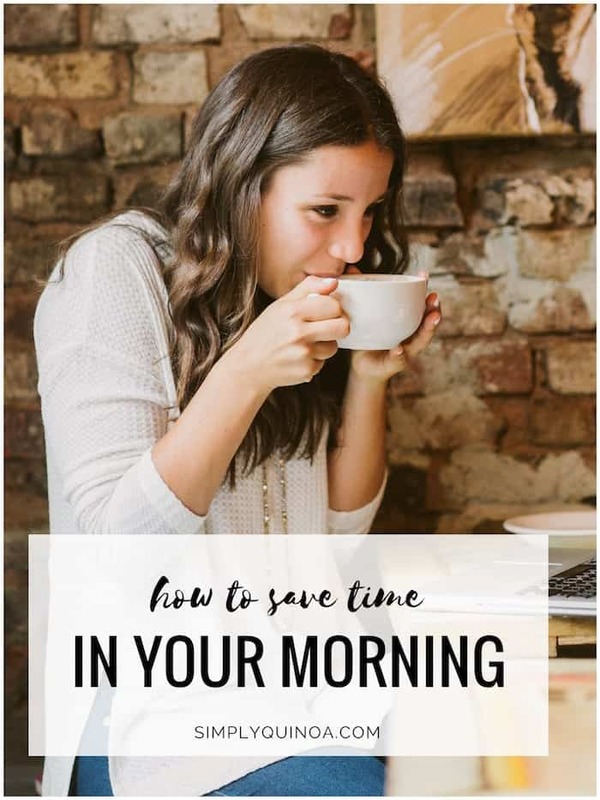 Get 5 simple strategies to help you learn how to save time in the morning and start your day on the right foot. One of the most common struggles I encounter with my readers is lack of time. And I totally understand. Life is busy. LIke really busy. We never have enough of time, we're spread thin juggling work, kids, social, etc. and more often than not, that lack of time takes a toll on our health. From stress levels, to lack of sleep, to how we choose to fuel our bodies. When we don't have time, we don't prioritize ourselves. And I'm 100% guilty of this too. When work is overwhelming and busy, just like you I reach for convenience. And I don't take the time to do the things I know are good for me (exercise, proper sleep, hydration, you name it). When you think about how your day unfolds, one thing I think we need to be mindful of is our morning. How we start our day sets the tone for we will move through the day. Are we rushed getting out the door with no time for breakfast? That feeling of stress will ripple throughout our day. Do you know what I mean? When we start stressed, we usually end stressed. So here's what I think we need to do. We need to take back control of our morning and come up with a way to save some time so we can actually start our day feeling calm, grounded and nourished. Think it's doable? 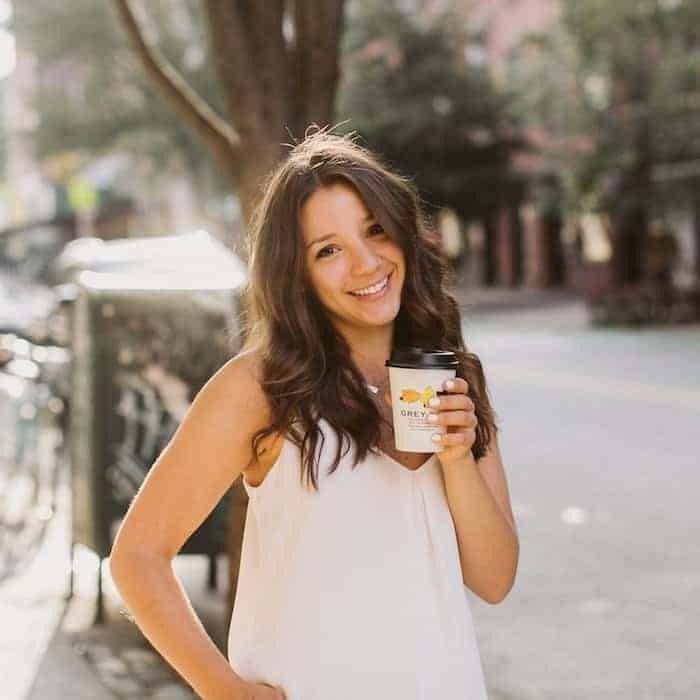 I've got 5 simple strategies to help you save time in the morning and still have a healthy breakfast so you can start your day off right. 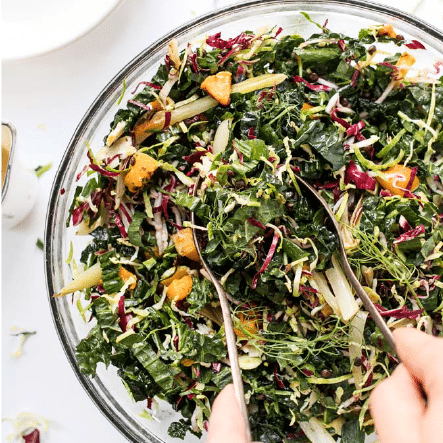 We've talked about this before, but meal planning can be a game changer for saving time. For starters, it takes that task off your list which frees up mental space and stress. It also keeps things simple all week long. You know what you're making and you know what you need to shop for. If you're new to meal planning, or you're not a big fan (which is a-okay), just plan for breakfast. Write down what you'll be having for breakfast for the work week. Those are the days you're most likely to feel stressed and overwhelmed, so give yourself a plan and test it out for a few weeks. Chances are, if you're anything like me, a few of the things you think about as you're falling asleep is a) tomorrow's mounting to-do list AND b) breakfast. Breakfast is often one of the things that falls by the wayside when we're rushing in the morning, and we'll end up reaching for a banana, granola bar or nothing at all. So why not instead of just *thinking* about what you're going to eat in the morning, take 5 minutes the night before and actually make your breakfast. There are tons of recipes you can prep ahead, but my favorites are definitely overnight quinoa/oats and chia pudding. 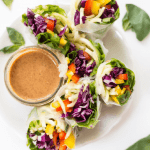 Both are packed with fiber and protein, take no more than 5 minutes to prep, and can be made in jars so you can take them with you on the go. We talk a lot about using our freezer for dinner – making soups, stews, chilis, etc. – but what about for breakfast? I would argue that our freezer should be equally, if not more full with breakfast foods. Whenever I make a batch of waffles, pancakes, muffins or quick bread, I always make sure to have extras. The same is true for things like a frittata, egg muffins, and other savory dishes. I personally love having pancakes in the morning (as I'm sure you know) and will just heat a few up in the toaster if I'm rushed. I spread them with a little peanut butter, and maybe some chia jam, and breakfast is done. 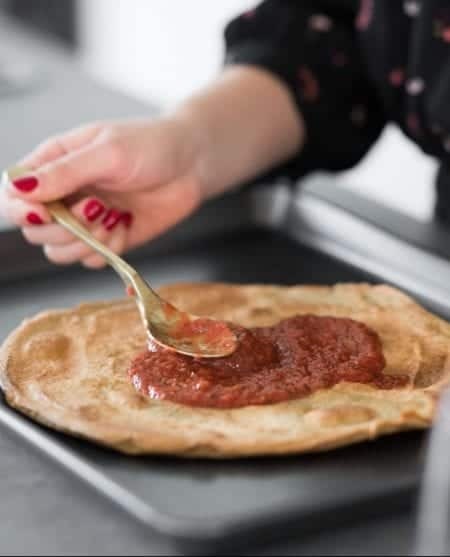 Pancakes almost act like toast for me, but the recipes that I make tend to be higher in protein, more fiber rich and a bit more filling than a slice of toast. Pancakes are also loved my kiddos, so if you're trying to get your kids out the door, giving them some pancakes (ya know, like Eggo waffles?) is perfection. So my challenge to you: stock your freezer with healthy dinners AND healthy breakfasts to save yourself a ton of time when you're rushing to get out the door. I know, I know. I talk about smoothies all the time, but I really do believe they are one of the keys to starting your day off right. 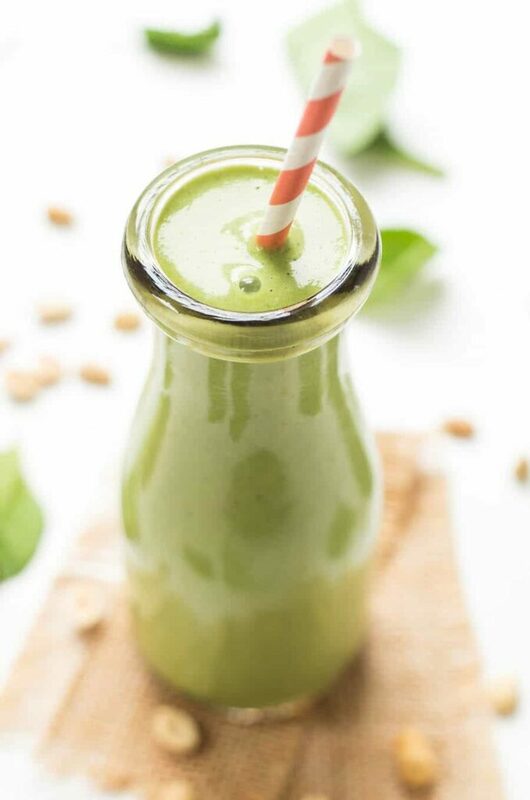 Not only are they super quick to make, but smoothies are a great way to pack in a major nutritional punch. You can get fruits, veggies, protein, fiber and more, in under 3 minutes. Add fat. I've talked about the importance of fat before, but most traditional smoothie recipes don't use it. Fat keeps us fuller for longer, provides longer last energy, and also makes us feel more satisfied. Add protein. Similar to fat, protein is going to help fill you up, keep you fuller for longer and help you feel more energized. Reduce the sugar. For most people, smoothies are primarily fruit. Banana is most often the base, topped with a berry or another frozen fruit, sometimes with greens mixed in. Smoothies like this are going to convert into sugar very quickly in our bodies, which causes a spike in blood sugar, a rush in energy, followed by a crash. They might be filling at the time, but a fruit-centric smoothie is going to leave your feeling hungry a few hours later. My formula is usually LOTS of greens + vegan protein powder + frozen vegetables (either cauliflower or zucchini) + frozen berries (+ sometimes superfood powders). Then I top it with a nut butter. The bulk is veg, there is fat, fiber and protein, and the berries are low-glycemic. Takes me no more than 5 minutes to make, is super energizing, keeps me full all morning long and tastes delish!! Let's face it: sometimes you simply don't have time to make breakfast. You wake up late, something throws a wrench in your morning, and the only thing you have time for is putting your shoes on and racing out the door. Don't let those mornings be an excuse for skipping breakfast (or grabbing up a muffin/pastry/bagel on the way to work). Instead, make sure that you have a stocked pantry with things that are “Grab-n-Go” items you can literally snag as you're running to your car. Granola + yogurt. 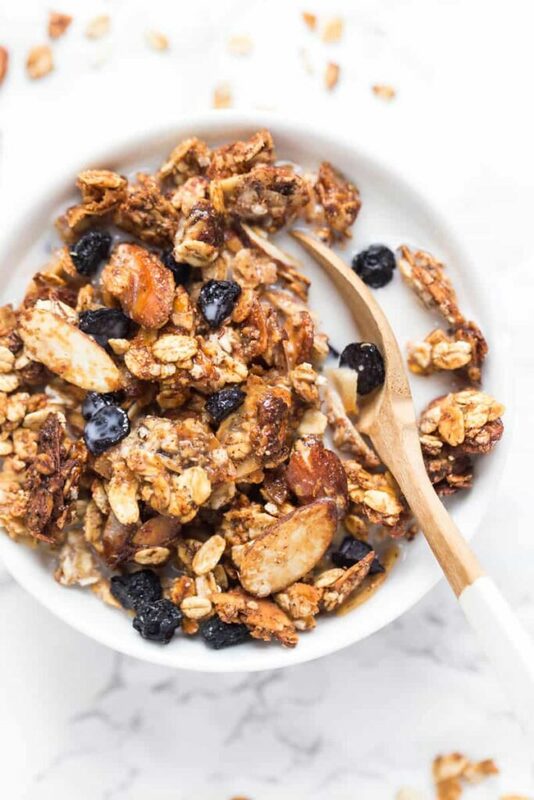 Keep preportioned baggies or jars of 1/2 cup servings of granola in your cupboard and then take a little container of yogurt (preferably non-dairy) and eat it at your desk. Vegan protein bars. I always have a stash of high-protein bars in my pantry/fridge. My favorites are Raw Rev bars or Square Bars (use code “simplyquinoa” for 20% off!). They're high in protein, satisfy my hunger, and while not an ideal meal, they get the job done when I'm really under the gun time-wise. Overnight oats/quinoa/chia pudding. If you make them in jars, they definitely qualify as a grab-n-go meal! Breakfast cookies & muffins. Make a batch of *healthy* baked goods over the weekend for a nutritious breakfast all week long. Things like quinoa breakfast cookies and muffins are great options! 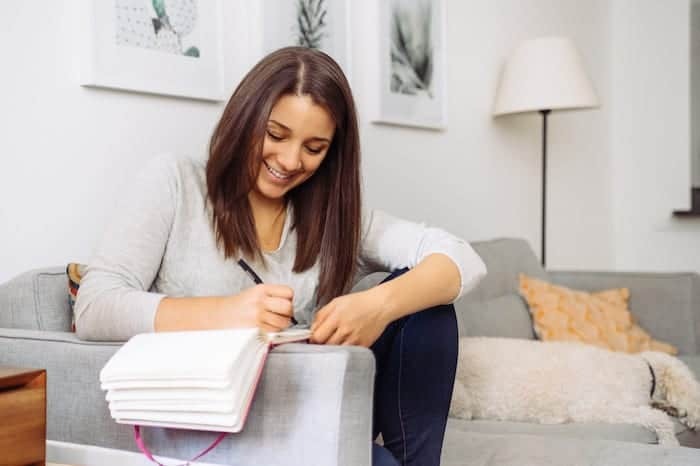 If you end up trying one (or more) of these strategies, I'd love to hear how they work for you! I also put together a few downloadable guide that walks you through these steps in a bit more detail! You can click the button below to download it! New to cooking quinoa? 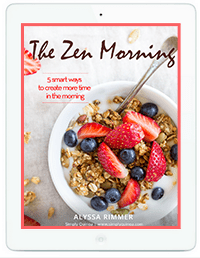 Grab your FREE Zen Morning Guide! 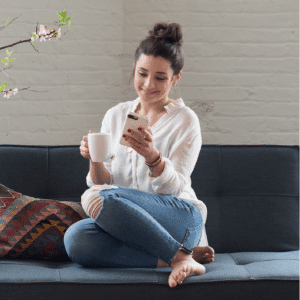 Start your day on the right foot with this 5-step guide! You'll get instant access to this guide as well as free weekly resources, exclusive content and more! Okay Girl, I so see you! I love this new blog format you have going here. It is so clean, fresh, elegant, and super simple to use. LOVE IT! I have been following you for almost a year now, and I seriously cannot get enough of your life style tips. As a single mom, I value these tips the most because my baby boy just started kindergarten, and I am even more strapped for time. This post saved my night as far as rolling out tomorrow morning. Thank you for all of your ideas, inspiration and hard work you put in to help those of us in need of some motivation and inspiration. I appreciate you more than you know. You inspired me to go vegan, after struggling with weight gain on an animal based diet and I too am gluten free. You spoke to me in a way that no one else did and I am so grateful for coming across your youtube and blog.